If you are looking for a budget stay near the airport, it cannot get better than this farmhouse. It scores on great views too. This private room in a farmhouse is located just 30 minutes away from Hyderabad's international airport. 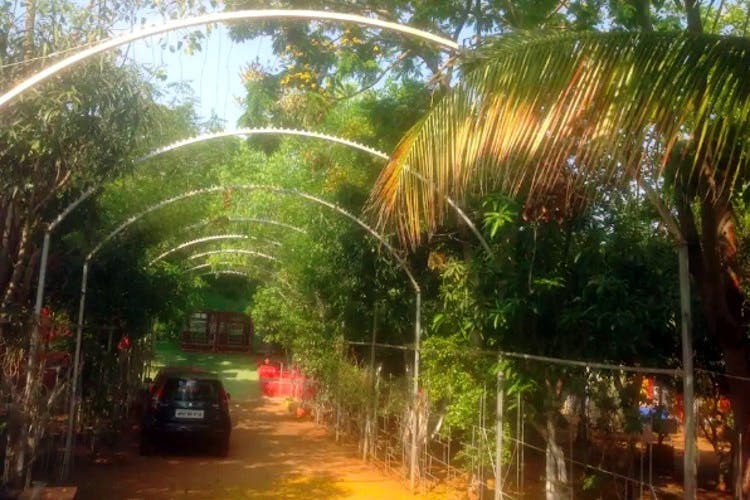 As you enter the stay, you'll be welcomed by a canopy of trees and it has a courtyard with lush greenery as well. We think this courtyard is perfect for you to grab a book and chai to relax. The two-storied house is brightly coloured in the hues of red and blue, and the interiors too match those colours. The private room is quite spacious and comes with one bedroom and breakfast is on the house. The guests have an access to the kitchen and they can make their own meals too. So, if you're craving coffee and Maggi, make it your style. Interested in checking into this home? Go, book away.